In conjunction with Art Month Sydney 2013, Art Est. 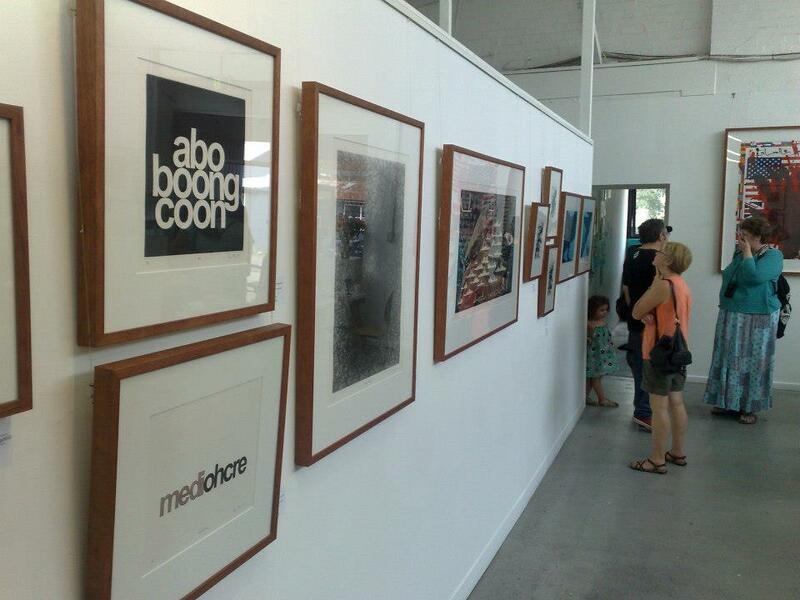 Gallery hosted Assorted Treats – Works on Paper from Cicada Press. 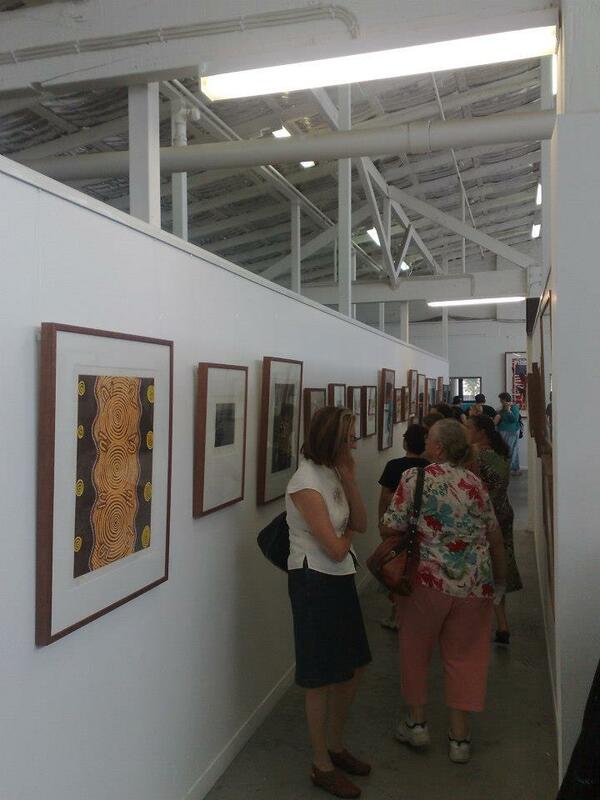 Art Est.’s Gallery Coordinator Lisa Woolfe discusses the exhibition. In late 2012, I was tossing around ideas for the Gallery’s Art Month Sydney 2013 exhibition schedule. I had already decided that I wanted the show to be ‘paper based’. I had recently been bemoaning (with a few other artists) what I perceive as the lack of interest in works on paper (be it printmaking, drawing or otherwise), so I had decided to make it a mission to bring a paper based show to the gallery. I have never been able to understand the lack of gravitas works on paper seems to have. Our major galleries (including the AGNSW) have large collections of works on paper but they rarely seen, squirrelled away in storerooms. If major galleries do not have a lot of interest then I suppose it follows that commercial galleries would have little interest. Art Month Sydney brings a large number of visitors to the gallery, so it was a perfect time to start my mission and spread the word about works on paper. 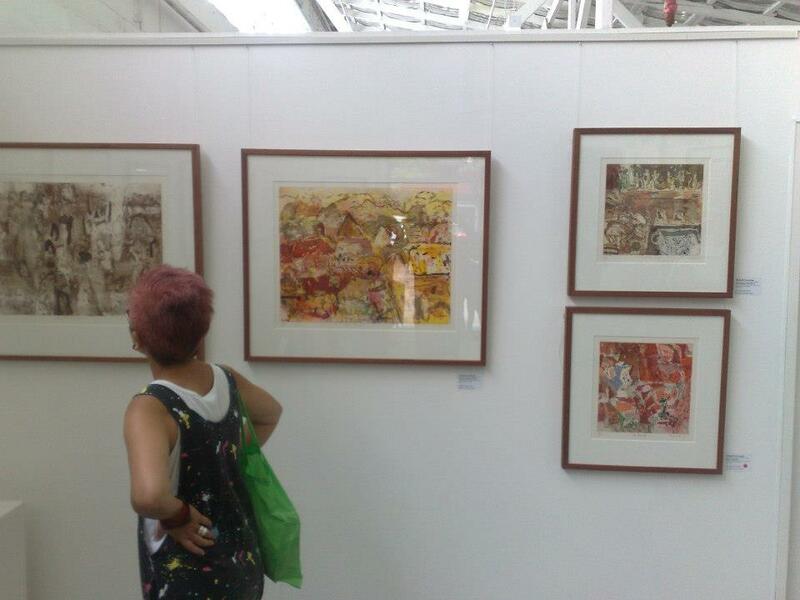 It occurred to me: What a better standard of works on paper than an exhibition with works from printmaking workshop, Cicada Press? A show with Cicada Press would have the added bonus of promoting printmaking and the unique teaching opportunity this print workshop provides to students of CoFA, UNSW. And with a few emails, it became so. 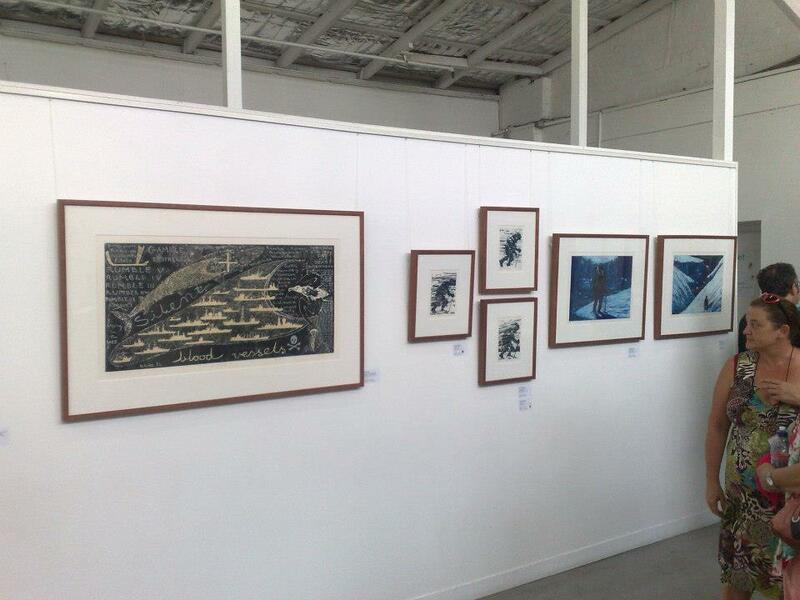 My association with Cicada Press is as a CoFA printmaking graduate. At Cicada Press CoFA students work alongside established artists invited to make work in the print room. Students go on to help edition the prints. As a former student, it is a real privilege to work alongside practising artists, and see both these artists in the physical act of making an image, but more importantly ‘see’ the thought processes (and sometimes struggles) involved in the picture making process. We were pleased to have a large crowd attend the Gallery for an artist talk with Michael Kempson and Euan Macleod. Attendees gained an entertaining insight into Cicada Press and the work and working methods of Michael and Euan who were both generous with their time. In association with the show, Art Est. Art School also ran printmaking workshops for kids. During the workshops, kids were introduced to printmaking techniques including drypoint and monotypes. They all created fantastic works and got a kick out of seeing their work framed and on display in part of the gallery space. 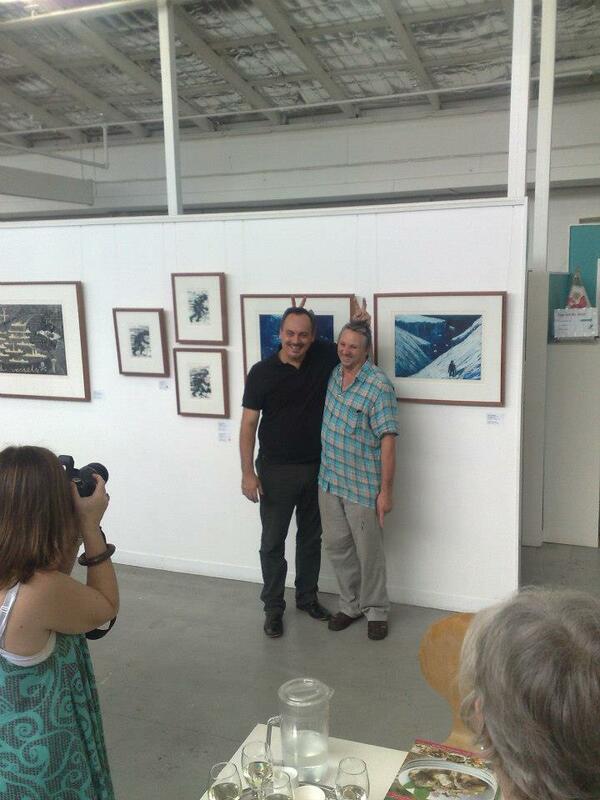 On behalf of the Gallery, I thank Sally Marks and Michael Kempson for curating the show. Also thanks to COFA printmaking graduates David Quoy, Qianwen Xie and Rachael Helmore for ably assisting during the Kids Art Month printmaking workshops.